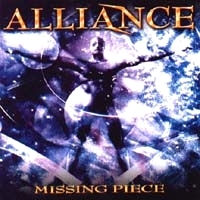 In 1999 I got Missing Piece from Alliance to review - and I still love the album. Now there is The Road To Heaven, even if it's been many years it's the same guys running the show. Spheric keyboard sounds and guitar riffs lead into the opener, the title track Road To Heaven. Compared to Missing Piece this tune has a slight pop touch, but it's still a melodic rocker with a catchy hook. A melodic rocker is I Can Breathe, a classic rock tune with soon drags you into the world of Alliance. Towards the end the keyboards add a slight symphonic touch - and a bit drama to the tune. Slowly they kick off the ballad Make A Stand with piano, then acoustic guitar takes over and sometimes the keyboard shines through again. A strong point of Alliance is in my opinion the voice of Robert Berry and the lyrics which stay away from cliches - but the lyrics are still about feelings and full of emotions. Time to rock again! Anything Goes is a guitar-driven rocker with a positive vibe and a catchy hook... And partly a slight country touch... Quite heavy is Like Me Like That... Crunchy riffs combined with some 80's pop keyboard is Like Me Like That. Great guitar play! Right from the beginning of Broken Glass it reminds me of Missing Piece, like this was a left-over... The song has the same feeling. But it doesn't mean that the other songs couldn't keep up, they are different, but stay within the genre. Perhaps its the melancholy touch Broken Glass has... It seems that a didgeridoo leads into We Don't Talk, but it's probably a keyboard... Anyway, the rocker has a sad note, but then it speeds up and becomes a positive feel. An up-tempo rocker is Comin' Home, a bit 70's rock shines through... Beautiful guitar lead part. A song which live is calling for some jam session -  and to sing along. A bombastic touch has Nothin' Else due to the keyboard, but the guitars keep up and partly dominate the keyboard. A kind of stadium rocker you usually expect from Bryan Adams, but with smoother vocals. One of my favorites is Remember Those Days, a track which isn't that different from the others, but somehow hooked me up immediately. After Not Done Til It's Done the closer Much More Innocent shows them with a slight pop appeal, but still rocking. Another song you soon will sing along. The album needs a few spins to grow, but if you like rock with great melodies and aren't afraid of some pop influences, then you should give it a try! To talk about the craftsmanship of these guys would be like carrying coals to Newcastle, as they all have a past in well-known bands like keyboarder Alan Fitzgerald who was a member of NightRanger and part of Sammy Hagar's band as guitarist Gary Pihl and drummer David Lauser who still is playing with Hagar. While Robert Berry is best known for his work with Hush and 3 - a band with Keith Emerson and Carl Palmer. 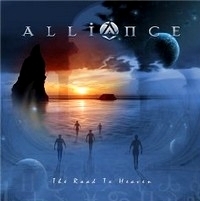 If you don't know Alliance, but like to listen to Bad English, Giant and Journey, then check out Alliance! Times are stressy these days... But that didn't keep this 4 brilliant musicians from founding the band Alliance. If you take a closer look at the band members, is this the result: Drummer David Lauser who adds the drum beat to the music on this album was working with Sammy Hagar in the past. Also guitarist Gary Pihl was part of Sammy Hagar's band and also is known for his time with Boston. Alan Fitzgerald is known as the keyboarder of Nightranger and mastermind and lead singer Robert Berry is known from Hush as well as for projects he did with ELP members. Together these 4 'oldsters' recorded a dozen songs, a great album which is with songs like I'd Give Anything, Call Of The Wild or Without You a collection of melodic rock music. The songs of this album are homogenous, interesting and never obtrusive. I don't want to name any songs, coz it's impossible to choose. 2 years after their last release Alliance present an album which impresses the listener with simple, but catchy tunes. The simplicity on a high quality level impresses the listener and is a good contrast to complexity of other compositions. Definitely a must for every rock music fan! Do you like bands like Boston, Nightranger or Bad English? If you said yes, you'll love this album! Missing Piece is the 2nd release of Alliance. Everyone in the band is around for years like guitarist Gary Pihl who played with Sammy Hagar before Sammy joint Van Halen and Tom Scholz asked him to join Boston, so Gary played on several Boston albums! Singer Robert Berry worked in the late 70's with Hush, but they never got the attention they deserved! In 1998 some lost Hush recordings been release through Escape Music. After Hush broke up Robert Berry recorded 3 solo albums and he recorded an album called 3 with Keith Emerson and Carl Palmer (both Emerson, Lake & Palmer). Also drummer David Lauser and keyboarder Alan 'Fitz' Fitzgerald aren't nobodies. Alliance is their place to play the music they love and you can hear it! Songs like I'd Give Anything are full of emotions and will spin around your head for days!